While the precise mode of action of many anthelmintics is not fully understood, the sites of action and biochemical mechanisms of many of them are generally known. (Merck Vet.Manual). inhibitors of tubulin polymerization—benzimidazoles (BZs) and probenzimidazoles (which are metabolized in vivo to active benzimidazoles and thus act in the same manner). The first member of the group, thiabendazole, was used as an antifungal. The benzimidazoles inhibit tubulin polymerization, acting on the same receptor protein, β-tubulin. In resistant worms, BZs can no longer bind to the receptor with high affinity. Benzimidazoles progressively deplete energy reserves and inhibit excretion of waste products and protective factors from parasite cells; therefore, an important factor in their efficacy is prolongation of contact time between drug and parasite. (This perhaps explains why slow release devices prolong the useful life of BZs). BZs are strongly associated with particulate matter in the rumen, which may extend the period over which they are absorbed. uncouplers of oxidative phosphorylation—’salicylanilides’ (e.g. rafoxanide (“Ranide”), closantel (which binds strongly to albumin, this fact determining its spectrum of activity)) “Seponver” etc.) and substituted phenols’ (e.g. nitroxynil (“Trodax” etc.)). Mostly flukicides (fasciolicides). Acting as protonophores, these cause hydrogen ions to leak through the inner mitochondrial membrane. Although isolated nematode mitochondria are susceptible, many fasciolicides are ineffective against nematodes in vivo, apparently due to a lack of drug uptake. Exceptions are the hematophagous (“blood eating”) nematodes, eg, Haemonchus and Bunostomum’. inhibitors of enzymes in the glycolytic pathway—clorsulon (a sulphonamide). Present, with other actives, in ‘Ivomec Plus’, ‘Nitromec’ etc. When Fasciola hepatica ingest clorsulon (in plasma and bound to red blood cells), they are killed because glycolysis is inhibited and cellular energy production is disrupted. Effects may occur by inhibiting the breakdown or by mimicking or enhancing the action of neurotransmitters. The resulting paralysis (spastic or flaccid) of an intestinal helminth allows it to be expelled by the normal peristaltic action of the host. a presynaptic latrophilin receptor (emodepside). Emodepside (sold in combination with another anthelmintic (praziquantel) for topical application under the tradename Profender) is currently marketed only for cats, although it has been found to be effective against a range of nematodes in small and large animals. (Sutherland). The drug is derived from a metabolite of Mycelia sterile, a fungus that inhabits the leaves of Camellia japonica (Wiki). various nicotinic acetylcholine receptors (agonists: imidazothiazoles (eg levamisole (LEV)), tetrahydropyrimidines (e.g. morantel); allosteric modulator: monepantel (‘Zolvix’); antagonist: spiroindoles (e.g. derquantel, as in ‘Startect’). Derquantel causes flaccid paralysis of nematodes. The receptors on which monepantel acts are unique in that they are found only in nematodes, which presumably explains the drug’s very favourable safety profile. glutamate-gated chloride channels (macrocyclic lactones: avermectins, milbemycins). The macrocyclic lactones (MLs) cause an influx of chloride ions, resulting in (flaccid) paralysis of the pharynx, the body wall, and the uterine muscles of nematodes. (Inability to move, feed or oviposit (Sutherland)). GABA-gated chloride channels (piperazine). Causes flaccid paralysis. It also blocks succinate production by the worm. The parasites, paralysed and depleted of energy, are expelled by peristalsis. inhibition of acetylcholinesterases (coumaphos, naphthalophos). Organophosphates block cholinergic nerve transmission, resulting in spastic paralysis. OPs inhibit other enzymes as well. ‘The mode of action of praziquantel is not certain, but it rapidly causes tegumental (‘skin’) damage and paralytic muscular contraction of cestodes (tapeworms), followed by their death and expulsion’. Sutherland and Scott, 2010. Gastrointestinal nematodes of sheep and cattle. Wiley-Blackwell. ISBN 978-1-4051-8582-0 (Hardback; ~242 pp). Resistance, a heritable trait, is present when there is a greater frequency of individuals within a population able to tolerate doses of a compound than in a normal population of the same species. (Slightly modified from Pritchard et al (1980), cited by Sutherland and Scott (p.117). See above). Except from ParaBoss news – have you subscribed? The precursors of these drugs were sourced from the natural environment: Avermectin from fungi in soil samples and Artemisinin from the wormwood bush, Artemisia annua not A. absinthium typically grown in Australia. 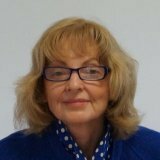 The impetus to develop these drugs was to better control resistant parasites and to delay further drug failure (see page 6). And these drugs are best used in combination with other drugs and non-drug strategies. Now that sounds like a WormBoss message! https://www.nobelprize.org/nobel_prizes/medicine/laureates/2015/advanced-medicineprize2015.pdf It’s a good read. Hayfever? don’t blame the wattle? How auditory transduction works. This Youtube video is short (6:44) and it is fabulous. A must see (and hear). But, can the Aussies beat the All Blacks in the Rugby World Cup on 2015-10-31 (GMT/UTC) (Halloween)? Will history repeat? Resistance to Startect? – NO! Resistance to Startect? – NO!! Already some are getting this wrong. Dead wrong. Detectable resistance in practice means reduced efficacy. However reduced efficacy does not necessarily mean resistance. Along with other colleagues I have been at pains to point out that that reduced efficacy of Startect is not, at this point in history, resistance. In particular I am referring to recent articles in this blog and in the September 2015 ParaBoss News which, among other things, mention that Startect on two farms had an efficacy of ~ 90% against Haemonchus. On both farms, abamectin, one of the two active ingredients in Startect, had zero efficacy (severe resistance!) against Haemonchus. We know that derquantel on its own is not innately highly effective against Teladorsagia, or against Haemonchus L4 larvae. This is not unusual. Consider, for example, naphthalophos, also a mid-spectrum drench (when used on its own). Also consider narrow spectrum drenches, triclabendazole for example: a very good flukicide, but naturally ineffective against roundworms. Is the latter resistance? No. In the fullness of time resistance to derqunatel will almost certainly develop. It has with naphthalophos, and all or most other sheep and cattle drench actives (that I know of). So, do we have evidence of resistance to Startect? NO! Can Startect have reduced efficacy (e.g. ~ 90% or so) in certain circumstances? Yes – if abamectin resistance is severe, and many Teladorsagia and/or immature Haemonchus are present. Whether new or old, regularly check the efficacy of drenches you use. Find out what works on your farm (evidence), then make best use of all the available options. Don’t guess; ignore the spin; rely on the evidence. ParaBoss is the umbrella (parasol?) under which WormBoss, FlyBoss and LiceBoss live. Barber’s pole worm (Haemonchus contortus) occurs in all sheep production areas of Australia, even in arid areas. With the introduction of the Barbervax® vaccine it is timely to clarify the areas of Australia in which it is recommended for use and how to manage barber’s pole worm where it is sporadic. >> Read more. Lamb’s tails; how long is long enough? If you sometimes struggle with the jargon on lice product labels, you’re not the only one. See our product label terminology page to make sense of those terms. >> Read more. “Swine Brucellosis” is found in feral pigs in northern NSW and Queensland and can be transmitted to pig hunting dogs through infected pigs or from being fed raw, infected pig meat or by-products. Brucellosis can potentially be fatal for humans and there is no known guaranteed cure for dogs. NSW DPI have prepared an information sheet for hunting dog owners and guidelines for veterinarians. Source: Tablelands Telegraph, Sept 2015 issue. Excerpt: ‘During the next 10 minutes, at least one person will die from rabies. There’s a good chance that person will be a child, let’s imagine she’s a girl. She will almost certainly be from Africa or Asia, and there’s little chance she will have access to palliative care which might have made her final hours less anguished. Instead, she might be strapped to a bed or locked in room until death releases her. To die of rabies is not a gradual slipping from the world, it is a tortuous exit. And death is certain. Rabies is 99.9% fatal, the highest fatality rate of any known disease. However, there is hope for the 2 billion people who live at risk of rabies because it is also preventable. Image source: Peter Fleming and Jessica Sparkes, NSW DPI. GPS-collared wild dog being tracked. ‘Rabies is a preventable viral disease that impacts upon most countries. With the highest fatality rate of any known disease affecting humans, more than 65,000 people die of rabies annually. Today, this deadly disease is being thrown into the spotlight for World Rabies Day. Hundreds of events are being held globally to raise awareness of the disease and its prevention. Thankfully, through vigilance, quarantine and distance, we still don’t have the disease in Australia. To keep it that way, NSW DPI researchers, in conjunction with staff and students at the University of New England, are working to safeguard Australia from a potential rabies incursion. 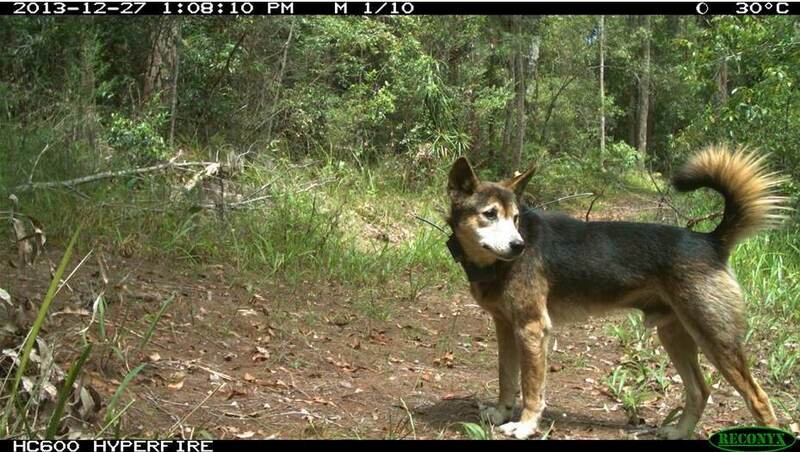 GPS logging collars, like the one on the old bloke in the picture, are deployed on dingoes and other free-roaming wild and domestic dogs to track their movements and quantify interactions between them. We also use camera monitoring stations to help estimate numbers of dogs in the wild and the contacts they make with other dogs. Information collected through this collaboration will feed directly into strengthening Australia’s response strategy for a rabies incursion (AusVetPlan). Although designated ‘Homo sapiens‘, apparently people don’t always behave rationally. How does this relate to ‘agricultural extension’ and adoption rates of ‘best practice’? Of course the ‘experts’ could be as much a problem as the ‘end -users’. Thus says a message I got by email. So, we don’t drive safely any more? Or, do we drive safes instead of cars?